Are you a self- starter who loves to learn and is quick to take a task and run with it? Do you understand that good user experience is central to a successful product and always seek elegant, simple solutions? If this sounds like you, and you love nothing more than discovering problems to solve and debating features then read on! 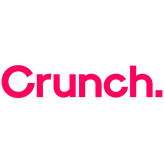 As an experienced Product Manager, you will be an integral part of the team at the forefront of product development at Crunch, helping us to achieve our ambitious growth plans to increase revenue. Working with a cross functional team including Designers, Developers and Testers, you will be responsible for defining product requirements that meet the needs of the business and our clients. You would join us at an exciting moment in our continued growth as we look to overhaul and build upon the success of our product to date. Be the Product lead on defined company initiatives or projects, with a key focus on our Core product. Build strong relationships with stakeholders around the business, keeping them fully informed of progress on roadmap activity. Initiate and understand the value of good quality user research, proactively seeking out new opportunities to meet customer needs and drive business growth. Provide direction and inspire the cross-functional team you are working with to deliver great work, owning the backlog. Clearly articulate and agree user stories and acceptance criteria. Be success focused by monitoring agreed KPIs and evidence the incremental value of work delivered by the team. Have a good understanding of servicing, conversion and UX best practices. Understands the value of analytics and how it can help drive product decisions. Our ideal candidate would have a keen interest in learning more about the fintech industry and the value our products add for individuals and their growing businesses. We are a FinTech company, located in the heart of Brighton, named as Innovative Firm of the Year in 2017. We develop cutting-edge, cloud-based financial services for freelancers, contractors, and small businesses. Our software is developed in house (written by software developers just like you) and is supported by a team of in-house accountants and client managers. We build green-field systems in an agile environment, using the latest technologies and architecture patterns: Continuous Delivery, Java / Kotlin, React.JS, Python, Go, Docker and Kubernetes.Find out more about the technology and processes we are using at medium.com/@crunchtech. 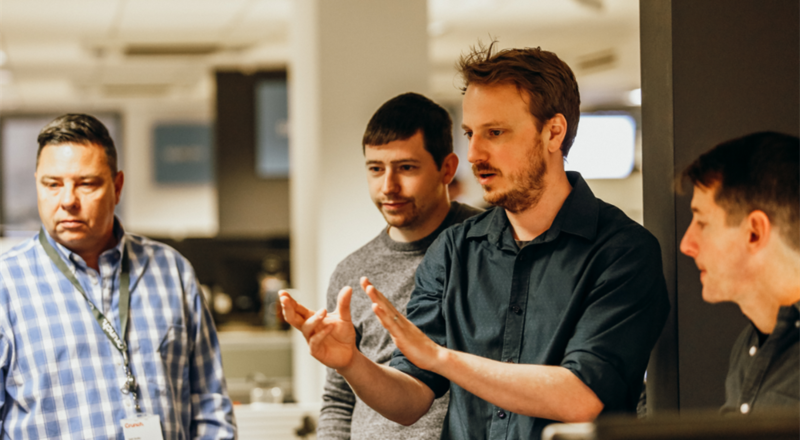 Our extremely talented team of Engineers work in a relaxed and informal space, collaborating with all departments and a rich variety of services and features. Our teams are agile and on average deliver 10 releases a day! We're passionate about creating elegant technical solutions relying on engineering best practice and relevant patterns. Our teams take an iterative and collaborative approach which embraces changing requirements, they work in an iterative and incremental manner where the detailed requirements and design emerges over time. This requires great flexibility and discipline. Want to get notified about new jobs at Crunch?